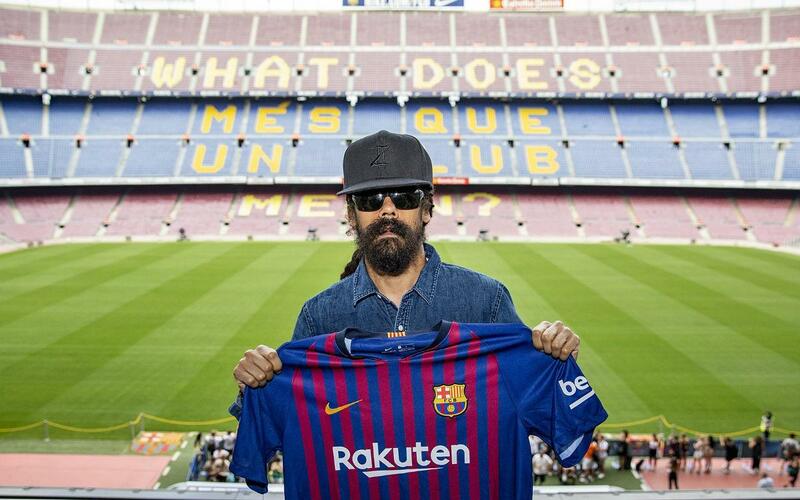 Jamaican reggae artist Damian Marley, who is in Barcelona to perform at the Cruïlla Festival, honoured the club with a visit this Friday. "The best Barça moment for me is to have come to the Camp Nou” the told the club media as he toured the stadium with his son. "We are two huge fans of FC Barcelona." This was actually the Jamaican’s second visit. He and his son were also here in 2015, but the place still feels special to him.